All around allure. 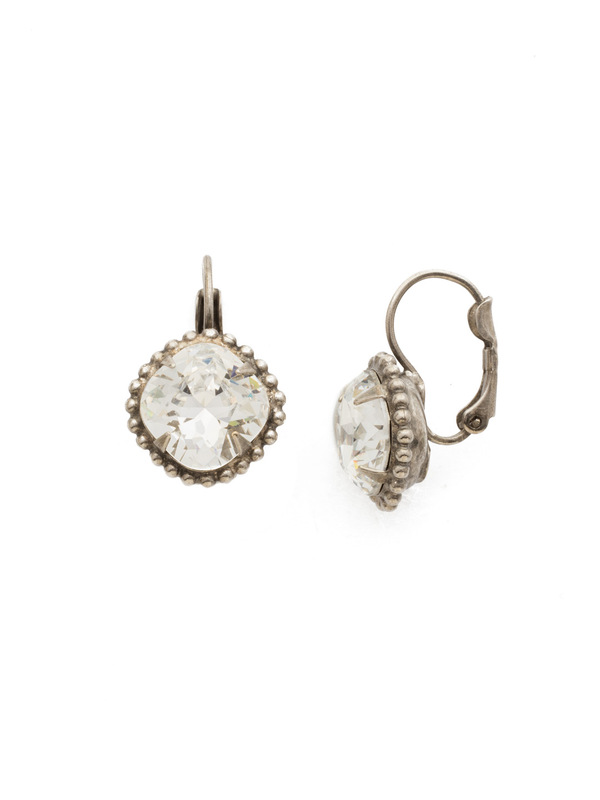 These earrings feature a rounded-edge, cushion cut stone that is encircled by a vintage inspired decorative edged border. French wire ensures accessible, everyday wear.